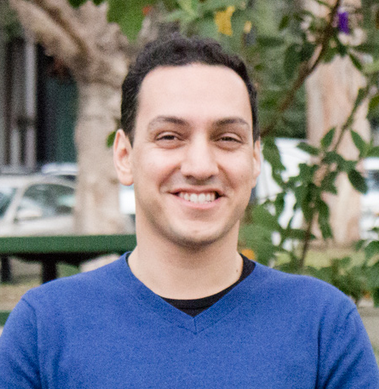 Guest post by Payman Nejati, co-founder of Handpick. Americans spend $600 billion per year on groceries, making it the largest retail category by sales volume. Yet, according to the USDA, about 30 percent (133 billion pounds) of the food produced in the United States goes to waste. It’s a problem that many of us probably witness or possibly even contribute to several times a week. Traditionally, consumers turn to recipe sites or cookbooks to solve the issue of what to do with leftover ingredients, but this often results in a trip to the grocery store to buy even more ingredients that most likely become leftovers themselves. With this in mind, I started Handpick in 2013 to solve this universal problem by providing dish ideas using ingredients users already have on hand. We’ve created the world’s largest searchable collection of food posts to understand what people around the world are eating, keep our finger on the pulse of ever-changing food trends and know how ingredients are being consumed locally, regionally and globally. Since 2013, Handpick has analyzed over 2 million food posts from recipe sites and and over 150 million food posts on social media, making it the world’s largest searchable database of food. We simply let users input ingredients they already have in their kitchen and find dish ideas using those items. 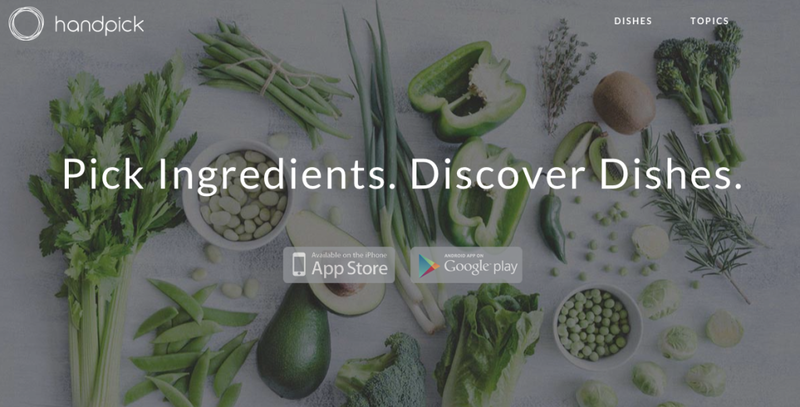 We’ve also created intelligent ingredient pairing that tells users what goes well with any of the 10,000 ingredients we have in the app’s database, making it easy to find new ways to use leftovers. Social media food posts are very rich in data as they provide a picture, a caption (dish name, ingredients, diets, etc,) and a set of sentiments (number of likes and positive/negative comments). Handpick has proprietary food visual and data recognition to automatically detect the best social media food posts and to match recipes to these posts. Handpick’s food visual recognition automatically detects if a picture is an actual photo of food or not. Assuming it is, it then classifies it against a quality score ranking from 1 to 5, it then sorts it in a food genre (desert, salad, sandwich, etc.) and recognizes ingredients that are clearly visible in the picture. Its data recognition then detects the ingredients, dish names, diets, and other keywords in the caption of any social media food post and uses this data to confirm that the image taken corresponds to the caption. 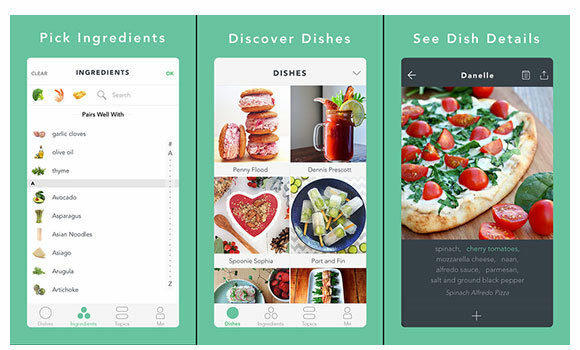 If the social media food posts passes all these criteria, Handpick surfaces the post in the Handpick App and matches it with dozens of recipes using a similar set of ingredients and dish types. Handpick spent the past 2 years and over $2 million in R&D, prototyping and product development to let users find dish ideas with any set of ingredients. The next step for us is to let users purchase ingredients directly from our app and website, so they can cook every day meals at home in the most seamless way imaginable. My two co-founders and I are not just entrepreneurs, we’re also investors in Handpick. In 2013, we invested $850,000 in cash and additional $300,000 in sweat equity. Within a few months, given our proof of concept, we raised an additional $3 million Series A. 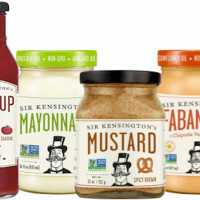 The round was led by ClearVue Partners, a private equity fund that targets promising fast-growing consumer companies. We’re also backed by angel investors with deep experience throughout the food supply chain, including SINODIS founder Jean Pierre Chesse, Cathay Capital managing partner Mingpo Cai, and Schneider Electric CEO Jean Pascal Tricoire. We’re currently using the funds to make our technology available to anyone, anywhere. Doing so, we are working on the Android version of the app now. 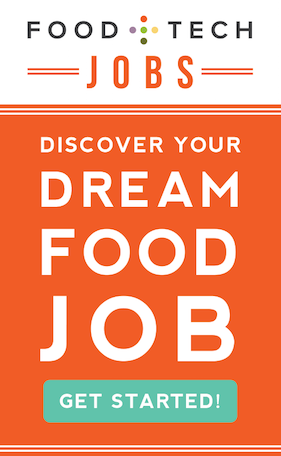 We are also expanding our team and constantly looking for people, who are passionate in the food tech space, in San Francisco and Shanghai. 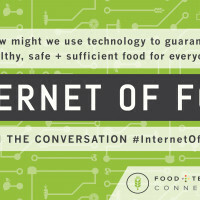 Finally, we are open to partnerships with other food tech companies who complement our value proposition. The Handpick team is very excited about the latest Recipify™ feature, which intelligently matches related recipes to both social dish posts, and recipe posts. For the first time, users can find a recipe for any Instagram food photo to recreate a similar dish. The same goes for recipe posts. 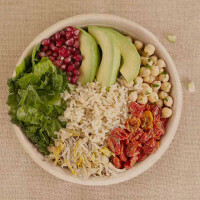 For instance, if you see a kale salad photo, we’ll show you a continuous thread of similar salads with different toppings, dressings, and combinations, giving endless dish options based on your dietary preferences. With our Topics feature, we’ve also made it easy to save interesting dishes by adding them to topics, which can then be shared with others. By following different topics, users get notified when new dishes are added, making Handpick a reliable source for continuously refreshed food content. My best advice for food tech startups who are fundraising is ‘Deliver on your promise, at every stage of your fundraising!’ This will convince your existing investors to reinvest in your business and will demonstrate to new investors your capacity to execute each layer of a business plan. In every investor pitch I ever had to write, I always started my presentation by saying ‘we can only foresee our future by looking at our past’ and I immediately demonstrated what we’ve achieved beforehand and how those learnings have helped us plan actionable milestones for the future. My other advice is ‘Go big and go home’, that’s right, you can do both. Go big by solving big problems, generating big ideas, having big milestones and continuously inspiring others around you to think even bigger. But also go home. It’s not a sprint, you won’t succeed in a matter of months. Your business will take 5 to 7 years to become a real business, so don’t wear yourself out. Go home at the end of every day and build a life outside of your business. It is this life you build that will give you the energy and creativity you will need to thrive at work. Born in Iran, raised in Belgium and in the US, Payman spent the past 10 years in Greater China. He returned to San Francisco in 2013 to lead the global innovations of Handpick. Payman sold his first venture to the world’s largest advertising group, Omnicom, at the age of 21. He spent the next 5 years in the group leading inter-agency integrations with 4 of the world’s top 10 agencies (DDB, TBWA, BBDO, OMD). In 2009, he founded his second venture PITCHEN Networks, delivering more than 100 integrated marketing campaigns for 35 brands, proving that any brand in any industry can succeed in integrated marketing. In 2013, he started his third venture, Handpick, Inc. with a mission to reduce food waste by using ingredients already on hand. Payman holds an International Master in Business Administration from the University of Louvain, Belgium, a Master in Politics & Diplomacy from Fudan University, China, where he has been a part time professor lecturing 700 students on marketing.